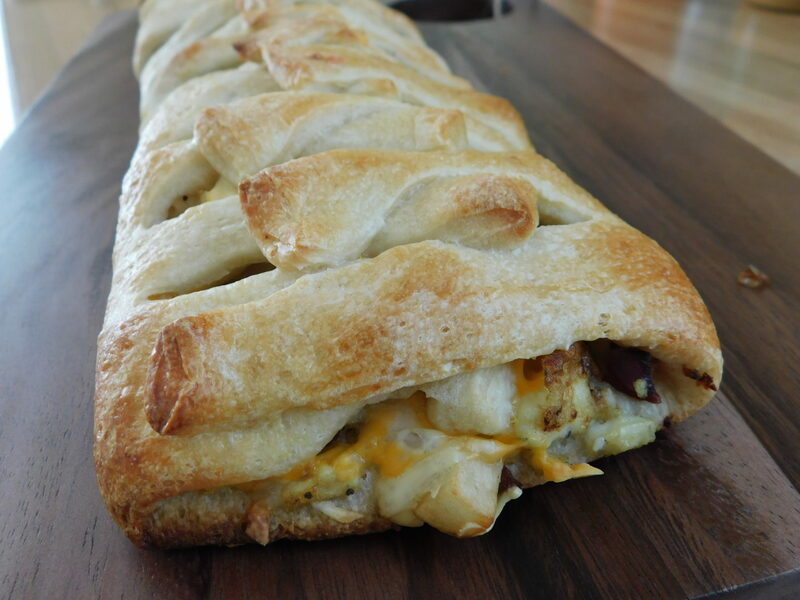 Breakfast stromboli - Drizzle Me Skinny!Drizzle Me Skinny! Breakfast is hands down my favorite meal! I am always thinking of creative ways to get all my favorite breakfast foods into one meal.. bacon, egg whites, home fries.. YUM! 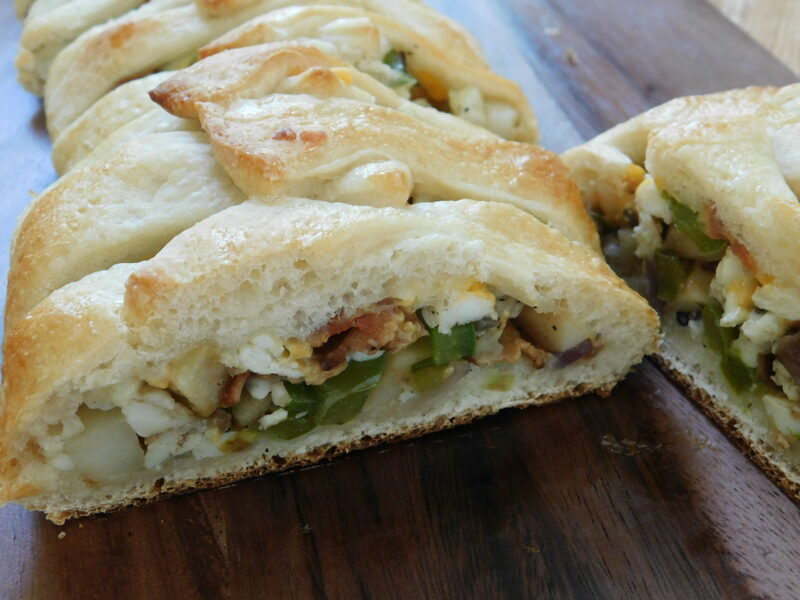 That is what is stuffed inside this super easy to make breakfast stromboli and the result was a delicious and filling meal! 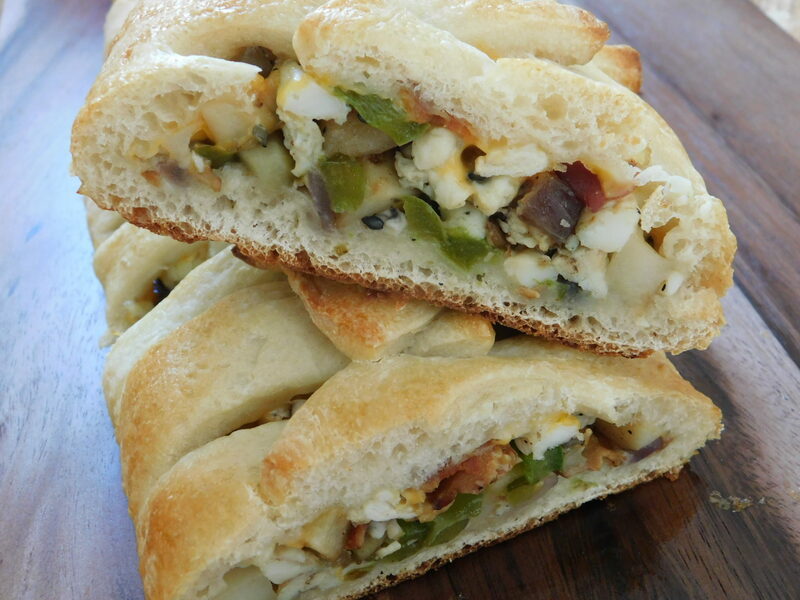 This recipe is made using the Pillsbury pizza dough, if you can’t find the exact product I imagine you can use a different pizza dough rolled out to the same size dimensions listed in instructions. 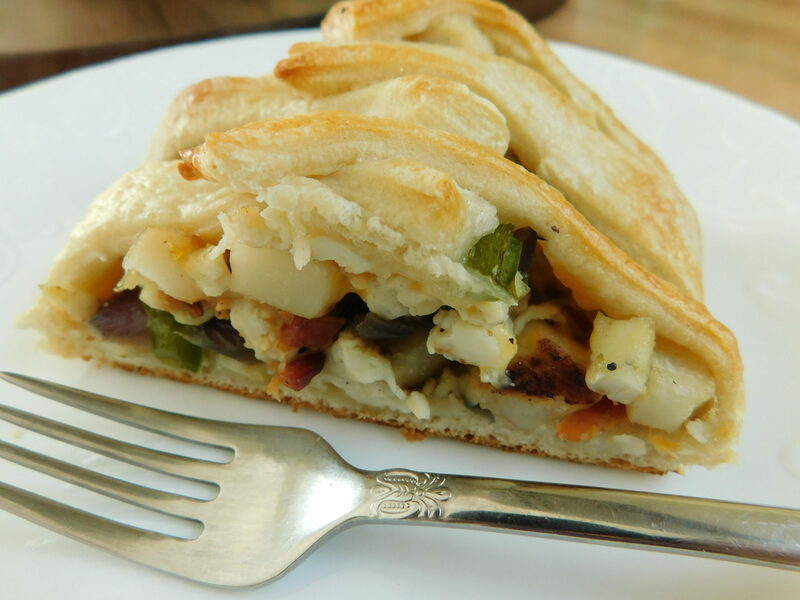 It might alter the points slightly, I can tell you there is 30 smart points in the whole pillsbury pizza crust. 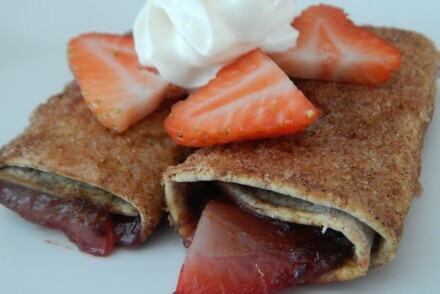 This recipes makes 6 servings at 7 smart points per serving and is great for a weekend brunch! Cook your bacon, drain and set aside, if you can't find low point center cut bacon try using turkey bacon or bacon crumble you can buy for salads usually sold with the dressing, points are generally low. Spray a large frying pan with some non stick cooking spray, place on stove over medium heat. Dice your pepper and onion and add to your pan, then add your home fries. Add in a dash of salt & pepper. Cook for approx 15 minutes stirring often. In a separate pan also sprayed with some cooking spray cook and scramble your egg whites. 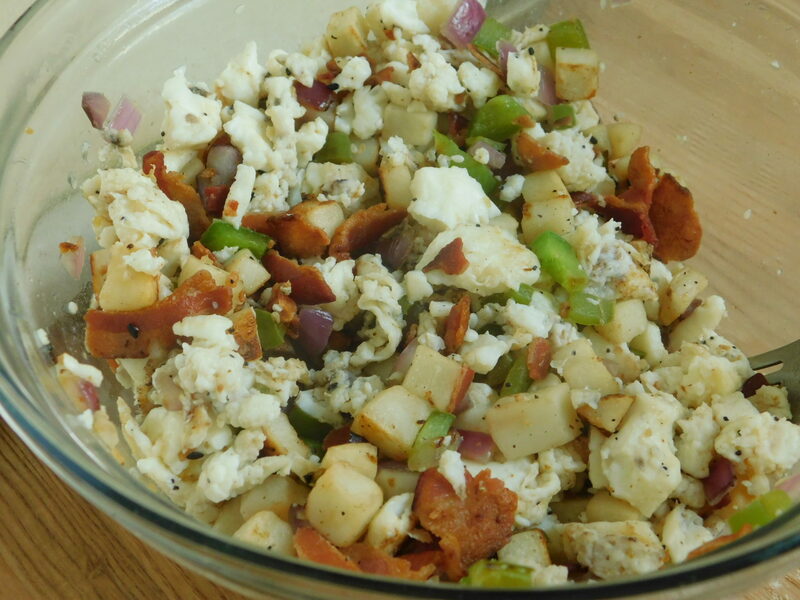 Place your home fries mix and scramble egg whites in a bowl. 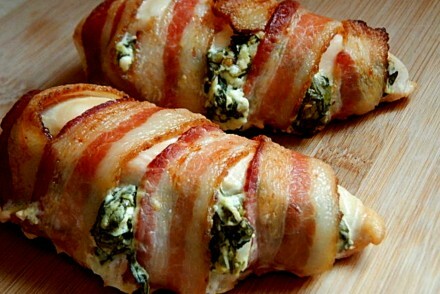 Add in crumble bacon and seasoning of choice and mix well. 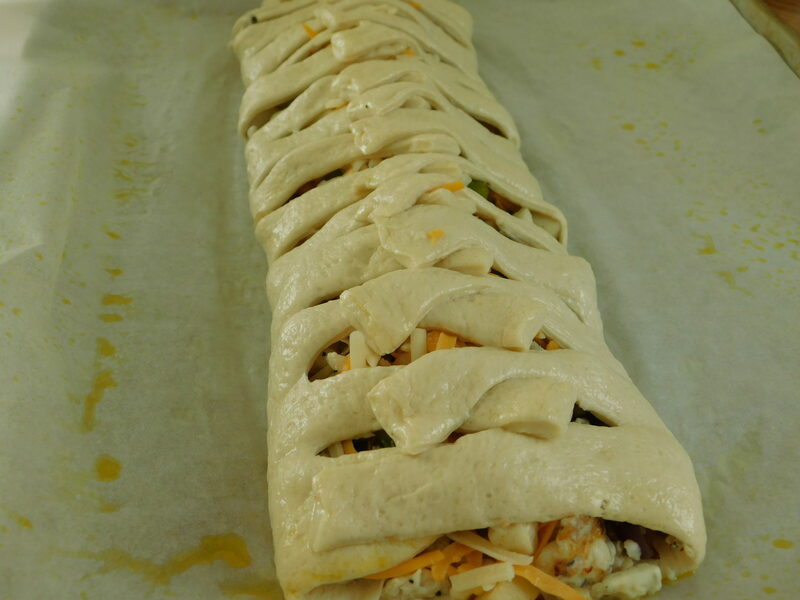 Preheat oven to 375F, use a large baking sheet lined with parchment paper. Roll out your pizza dough so it is approximately 14x9 inches. 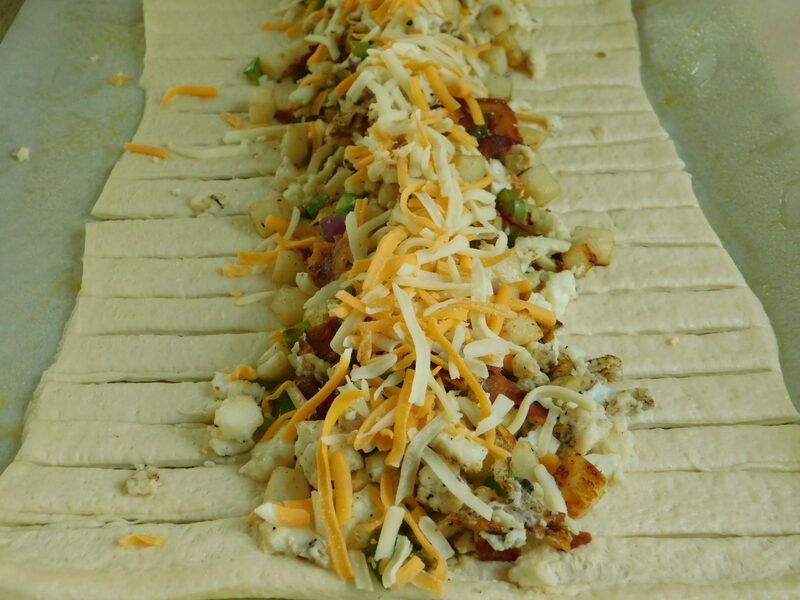 Spoon your mixture into the middle of your dough, top with your cheese then braid your cut dough pieces over top. I promise it is easier than it sounds! 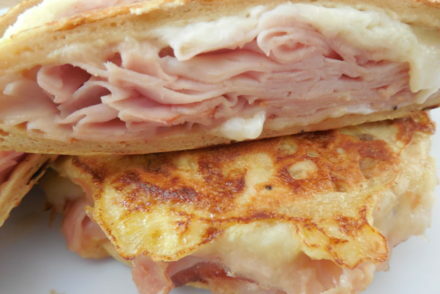 Brush some egg whites on top of dough and bake in oven for approx 25 minutes or until golden brown. Cut into 6 equal servings, I find it best to cut in the middle then cut each piece into 3 equal pieces. Makes 6 servings at 7 smart points per serving (7 point plus, old WW program) it will freeze well.